WASHINGTON (AP) - Even as they praised him, Senate Democrats said Tuesday that Donald Trump's pick to represent the U.S. in trade negotiations needs a waiver from Congress to legally hold the job because of his previous work for foreign clients. 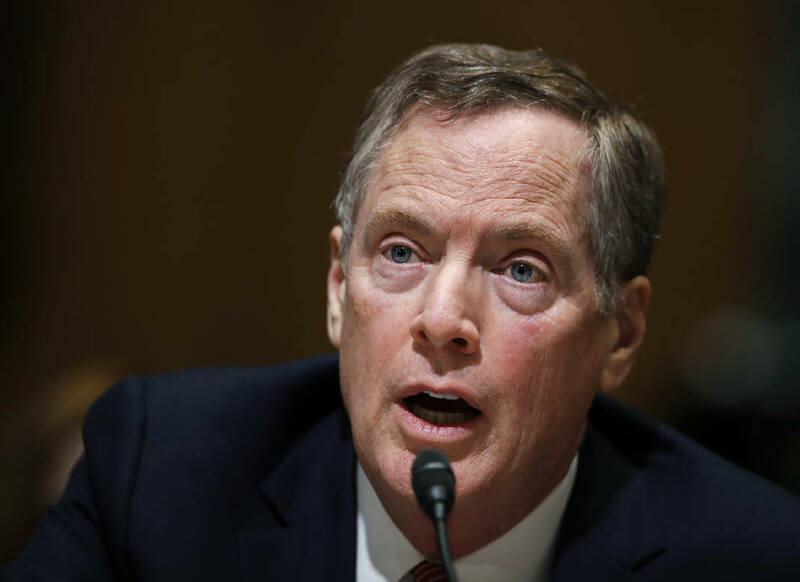 Republicans disagree but the dispute could slow the confirmation of Robert Lighthizer to become the U.S trade representative. Lighthizer is an experienced trade official who, in private practice, represented "a small number of foreign clients in the late 1980s and early 1990s," said Sen. Orrin Hatch, R-Utah, chairman of the Senate Finance Committee. A 1995 law prohibits anyone who has represented a foreign entity in trade negotiations with the U.S. from being the nation's top trade representative. Nevertheless, Hatch said the Justice Department does not believe Lighthizer requires a waiver. Several Democrats disagreed at Lighthizer's Senate confirmation hearing Tuesday. "As a legal matter, Mr. Lighthizer's previous work for foreign governments makes him ineligible to be appointed as the United States trade representative," said Sen. Ron Wyden of Oregon, the top Democrat on the Finance Committee. Wyden said Democrats are willing to pass a waiver for Lighthizer but only if Republicans pass an unrelated bill to protect retired coal miners' pension and health care benefits. The miners' pension plan is headed toward insolvency. Senate Majority Leader Mitch McConnell, R-Ken., has introduced legislation to maintain the miners' benefits. But Democrats complain that the Senate is not moving fast enough. "This kind of legislative hostage-taking certainly is not unheard of in the Senate, but in the context of consideration of a nominee for the Office of U.S. Trade Representative, it is totally unprecedented," Hatch said. Aside from the waiver dispute, Democrats were generally supportive of Lighthizer. Sen. Sherrod Brown, D-Ohio, praised Lighthizer's work on behalf of U.S. steel manufacturers. Brown said Lighthizer "understands the kind of trade policy we need." Sen. Debbie Stabenow, D-Mich., said she hopes that a bipartisan solution can be reached on the waiver dispute. Lighthizer has criticized some Republicans for being too pro-free trade. He told the Senate panel that the U.S. should have an "America first trade policy." "We can do better in negotiating our trade agreements and stronger in enforcing our trade laws," he said. Trump has broken with most Republicans in his criticism of free trade agreements. He pulled the U.S. out of the 12-nation Trans-Pacific Partnership pact and has said he will renegotiate the North American Free Trade Agreement with Canada and Mexico. NAFTA was negotiated by President Bill Clinton. It was ratified by the Senate with broad Republican support. Trump has said he would ink one-on-one trade deals with individual countries. Lighthizer served as deputy U.S. trade representative under President Ronald Reagan. He was the staff director of the Finance Committee when Sen. Bob Dole was its chairman. The former senator from Kansas introduced Lighthizer at Tuesday's hearing, calling him "a bull dog when it comes to getting things done." Lighthizer has more recently worked on trade issues as a lawyer, representing manufacturing, agricultural and high-tech companies, according to his law firm biography. Lighthizer's bio also states that he focused on "market-opening trade actions on behalf of U.S. companies seeking access to foreign markets."